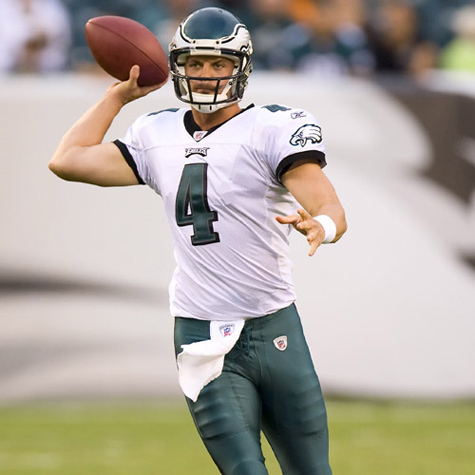 After the Eagles victory over the Detroit Lions, Coach Andy Reid told the media that Kevin Kolb will be the Eagles? starter next week against Jacksonville, barring complications. Well apparently some complications must have happened between Sunday?s press conference and Wednesday night because Andy Reid announced that Vick will start against the Jaguars. Reid says, ?I think his play has even exceeded expectations over the last two weeks. This has nothing to do with Kevin Kolb?s injury? he?s done a phenomenal job for us here. The future of Kevin Kolb is not slighted by this one bit. He has an opportunity to be what I would consider a franchise quarterback and a very deserving of so. This is more about Michael Vick and his accelerated play. He?s sitting there as possibly the hottest quarterback in the NFL at this time. Very few quarterbacks can go out and play the way he played the last couple weeks and do the things that he did.? Talk about a knee-jerk reaction, Vick played well for a little over a game and a half against a Packers defense that did not game plan for him and an at best, very shaky Lion?s defense. Vick does deserve some credit, he did what he was supposed to against those two teams, but Kevin Kolb apparently was the quarterback who gave Reid enough confidence to trade away their franchise quarterback, Donovan McNabb, to a division rival. The Redskins are a team that they will be playing twice a season, for as many seasons as Donovan remains on the Redskins. To do that, you have to be pretty sold on Kolb?s ability to play quarter back in the NFL. You don?t just bench him because Vick played well in a favorable situation. 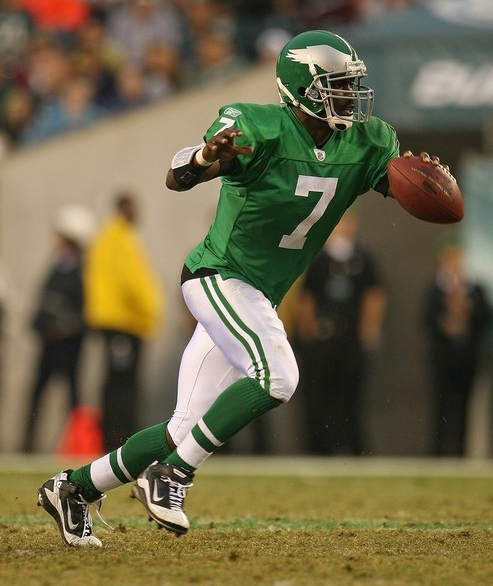 As a fan, I think the Eagles did the right move because Vick is an exciting player who finds ways to win. Not to mention, before his incarceration he was a superstar caliber player who is a proven winner. He was the guy who gave the Green Bay Packers their first ever playoff loss in Lambeau Field. But if I was looking at this move from a management perspective, this is a bad decision. Kolb is the guy who Reid considers to be a franchise quarterback, who went through training camp and all of the two-a-day practices as the Eagles starting quarterback. This lack of faith displayed by Reid in his own plan sends a bad message to both management and the players. Reid drafted Kolb with a second round pick to be the future replacement of McNabb and when the time actually came to make the move, Reid has gotten cold feet? I hope this decision came from above Reid?s head, because if it was solely his choice, I have lost a lot of respect for Andy Reid as a coach.